HarmonicBrain ADD/ADHD is a research-based app specifically designed to improve focus, attention, and on-task performance by increasing beta brainwave activity in those with ADD/ADHD. HarmonicBrain ADD/ADHD provides all four of the improvement methods discovered by ADD/ADHD researchers and clinicians: two frequencies to increase beta (low and high beta), white/pink/brown noise (found to increase attention and concentration), and background operation (so users can play their own music/videos/etc. during HarmonicBrain sessions). EEG studies found that children with ADHD have decreased beta brainwave activity compared to children without ADHD when measured during cognitive tasks as well as during the Continuous Performance Task (CPT) protocol. Researchers and clinicians, using binaural brainwave entrainment (like that of HarmonicBrain ADD/ADHD), were able to increase beta brainwave activity of children with ADHD. This increase improved the children’s performance in attentional tests. Other researchers found that white noise (like that of HarmonicBrain ADD/ADHD) also improved attention scores of children with ADHD but worsened performance for attentive children. In separate studies, participants who listened to music of their own choice, lowered their anxiety levels. Researchers also found that children with ADD/ADHD has “significantly higher attentiveness levels” after brainwave entrainment. Another study found subjective improvements in attention and focus but that study made use of music selected by the researchers rather than by the study participants. 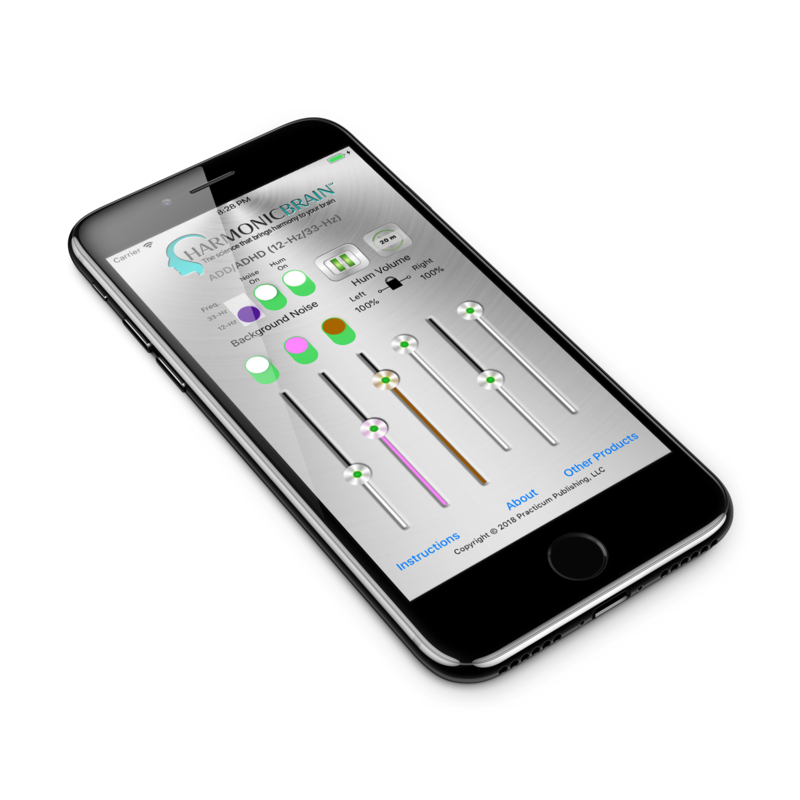 Because HarmonicBrain is designed to let you select your own music (or any audio, video, white/pink/brown noise, or even no adjunctive sound), you can avoid the issue of “canned” music.